"Drew Brees threw for 363 yards and four touchdowns as the Saints won their ninth straight game to enhance their position as Super Bowl favourites." 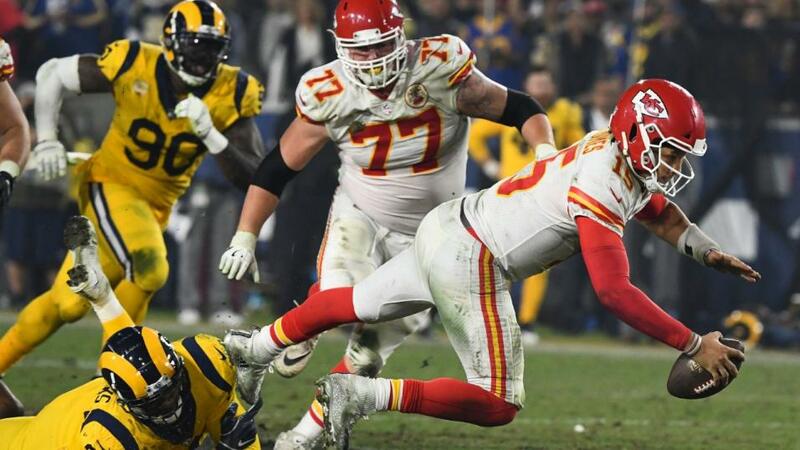 The Los Angeles Rams beat the Kansas City Chiefs 54-51 in a thrilling victory on Monday night as the widely predicted offensive shootout more than lived-up to the pre-match hype. In one of the greatest NFL games ever played the two sides combined for more than 1,000 yards of offence with quarterbacks Patrick Mahomes and Jared Goff throwing for a staggering 478 and 413 yards respectively. It's the first time in NFL history both teams have breached the 50 point mark and their combined total of 105 is a MNF record haul as the game saw seven turnovers and six lead changes. The win takes the Rams to 10-1 for the season while the Chiefs move to 9-2, and if this does turn out to be a Super Bowl preview then we can look forward to another thrilling instalment in Atlanta next February. Philadelphia suffered the worst ever loss by a defending champion on Sunday as they were humiliated 48-7 by the New Orleans Saints, a team that looks more-and-more likely to take their crown in February with every passing week. Drew Brees threw for 363 yards and four touchdowns as the Saints won their ninth straight game to enhance their position as favourites for the Super Bowl in Atlanta next year. They are now 10-1 having won every game since a loss to Tampa Bay on the opening weekend of the season. The Saints were up 24-7 at half-time as Brees found Austin Carr and Tre'Quan Smith - the rookie receiver enjoying a massive 157-yard night - while Mark Ingram ran in for the first of his two scores. 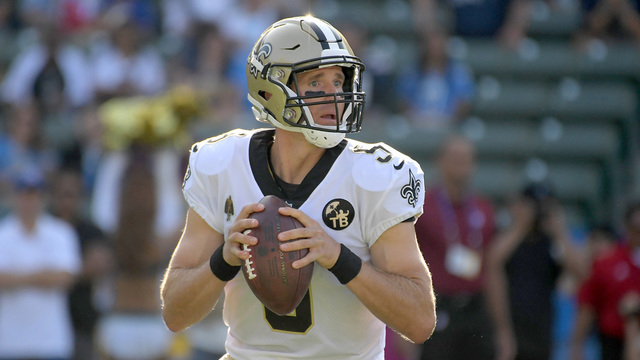 And it was a similar story in the second half, with further Brees touchdown strikes to Michael Thomas and Alvin Kamara either side of Ingram's second TD while the Eagles' only points came courtesy of Josh Adams in the second quarter. Another strong contender for the Super Bowl, the Pittsburgh Steelers, produced a stunning comeback to beat the Jacksonville Jaguars 20-16 in the final seconds, despite being held scoreless for almost 43 minutes. 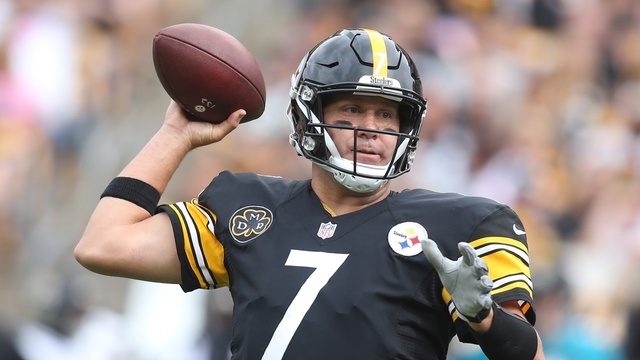 Steelers quarterback Ben Roethlisberger dived into the end zone with five seconds of the game remaining to seal a sixth win in a row to take them to 7-2 and in command of the AFC North while inflicting a sixth straight defeat on Jacksonville. Pittsburgh are [10.0] for Super Bowl glory. In the NFC North, the Chicago Bears are surprise leaders, and a hard-fought 25-20 win over the Minnesota Vikings at Soldier Field gives them every chance of making the play-offs with their record now standing at 7-3. The Baltimore Ravens ensured they remained in touch with the Steelers as young quarterback Lamar Jackson marked his first start by guiding his side to a 24-21 win over their divisional rivals the Cincinnati Bengals. In something of a surprise result The Los Angeles Chargers lost for just the third time this season, going down 23-22 at home to divisional rivals Denver courtesy of a last-ditch field goal from Broncos kicker Brandon McManus. Indianapolis Colts quarterback Andrew Luck extended his incredible touchdown streak in a 38-10 victory over the Tennessee Titans to take his team to 5-5; he's now scored three TDs or more in the last seven games. Despite that win the Colts are still behind the Houston Texans in the AFC South, who made it seven wins on the spin thanks to a 23-21 victory at the Washington Redskins in a game which was marred by a serious leg injury to quarterback Alex Smith. Brett Maher kicked a 42-yard field goal for the Dallas Cowboys as time expired against the Atlanta Falcons to make things interesting in the NFC play-off race with the 22-19 win, all but ending the Falcons' hopes of a home Super Bowl in February. The Carolina Panthers were dealt a crushing blow in their post-season pursuit, going down 20-19 to the Detroit Lions and opting for a two-point conversion in the final minute instead of going for one and taking the game into overtime, while something of a basement battle saw the Oakland Raiders overcame the Arizona Cardinals 23-21. The Utah Jazz ended a two-game winless skid with an impressive defensive show in their 98-86 win over the Celtics in Boston on Saturday night. The Jazz inflicted only a second home defeat on the Celtics this season thanks to Donovan Mitchell who scored scored 28 points hitting 10 of his 21 field-goal attempts while Rudy Gobert contributed with nine rebounds. The home side shot only 38.5 per cent from the floor and managed to hit just five of their 33 shots from three-point range and the defeat put Boston 3.5 games behind the Toronto Raptors who lead the Eastern Conference. Saturday also saw wins for; Los Angeles, Philadelphia, Indian, Orlando, New Orleans, Toronto, Houston, Dallas and Oklahoma City. 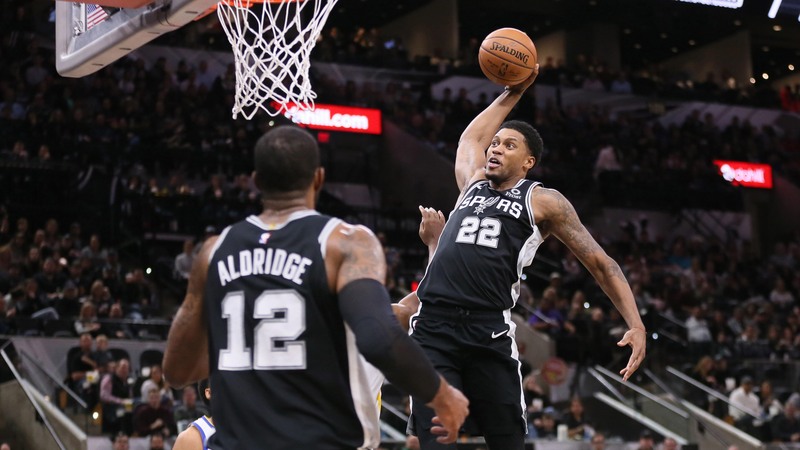 LaMarcus Aldridge scored 24 points and grabbed 18 rebounds while DeMar DeRozan added 20 points as San Antonio Spurs beat the struggling Golden State Warriors 104-92 on Sunday. Golden State continue to struggle without talisman Steph Curry, who is sidelined with a groin injury, and while the victory snapped a three-game losing streak for the Spurs it also condemned the Warriors to their third straight loss. Also on Sunday, LeBron James scored a season-high 51 points as the Los Angeles Lakers beat the Miami Heat 113-97 in Florida. James made 19 of 31 shots from the floor, as well as eight rebounds and three assists to move his side to within two games of the Western Conference leaders, while there were also saw wins for; Memphis, New York and Portland.